It is with great sadness we announce the passing of Lynne Helen Thompson (nee Grant) on August 23, 2018. Lynne passed away peacefully at Kelowna Hospice House after a long and valiant fight against cancer. Lynne was born January 8, 1947 in St. John, New Brunswick. Her family moved to Toronto when she was 8 and Lynne and her husband Ron lived there until they settled in Kelowna, BC in 2000. They just celebrated their 50th wedding anniversary with their children who travelled in from Africa and Asia. Lynne is survived by her beloved husband Ron and their three wonderful children: Cameron, wife Melanie (Toronto), Julie, husband Jonathan and grandchildren, Luke 13 and Ella 11 (Slovakia) and Matthew, wife Pattira (Thailand), as well as her sister Marlene, husband Paul and nieces Allison, husband Jason and Lauren (Toronto). 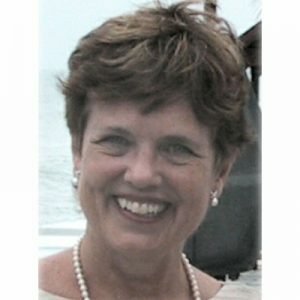 Lynne will be remembered as a vibrant woman of deep Christian faith. She was a gifted counsellor, teacher and international speaker who influenced hundreds of people wherever she lived and travelled in Canada, France, Switzerland, Kuwait and Thailand. A special thanks to Dr. Butterworth for his extraordinary care and compassion, the outstanding treatment she received from her doctors and staff at the Kelowna Cancer Center and the excellent care she received from the staff and volunteers at Kelowna Hospice House. A Celebration of Life will be held at 2:00 pm on Thursday, August 30 at New Life Centre, 2041 Harvey Ave, Kelowna, BC. Lynne will be laid to rest in a family plot north of Toronto (Markham). For family and friends in the Toronto area, another Celebration of Life will be held at 1 p.m. on September 15 at Ballantrae Golf Club, Stouffville. In lieu of flowers, a donation may be made to Worldchangers (a Canadian registered Christian Charitable organization), Breast Cancer Society of Canada, Kelowna General Hospital Foundation (Cancer Care Fund or Hospice House/Palliative Care), or your favorite charity. Breast Cancer Society of Canada: Donations can be sent to Breast Cancer Society of Canada, 420 East Street North, Sarnia, Ontario N7T 6Y5, on-line by logging on to www.bcsc.ca/donate, or call 1-800-567-8767. Pamphlets will be available at the Celebration of Life. Kelowna General Hospital Foundation: Donations can be sent to Kelowna General Hospital Foundation, 2268 Pandosy Street, Kelowna, BC V1Y 9Z9, or on-line at www.kghfoundation.com. Pamphlets will be available at the Celebration of Life. The service for THOMPSON, Lynne Helen is scheduled for 2:00 pm on Thursday, August 30, 2018. Below you will find the map for the service location and the contact information should you have any questions. Lynne Thompson was a wonderful friend, wise counselor,, anointed prayer warrior, dedicated mother, devoted wife and all round champion of faith, She has always inspired me to see further, reach higher, dig deeper and believe for more than ever before. She has always inspired me and she always will. Well done good + faithful servant. I will see you in heaven.